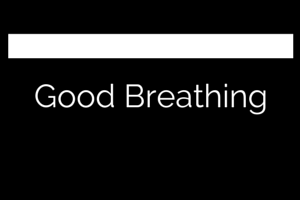 A few weeks ago I wrote about the importance of breathing. This morning I was lucky enough to attend a lecture put on by pain expert Neil Pearson. It brought a few things to light and made sense of why breathing has an impact on both our pain and the way we move. When a person is blowing off too much CO2, (e.g. they are are hyperventilating) CO2 builds up in the body and creates a state of alkalosis. This increases the sympathetic response and increases the pain response. The body responds poorly to a state of alkalosis which leads to a negative loop of increasing pain. In a state of acidosis (ie when someone holds their breath during exercise) not only does the sympathetic response increase because of altered pH, the musculoskeletal system is also tense. Both are poor breathing patterns and both can increase perceived pain levels. Next time you have a patient who is not following the normal path of tissue healing, try working on their breathing!